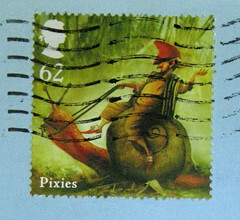 I sent this postcard, US-737314, via Postcrossing back in June. (Yes, I am behind in posting, no need to note that in the comments.) Loved the image, photographed it to share, am finally getting around to doing so. 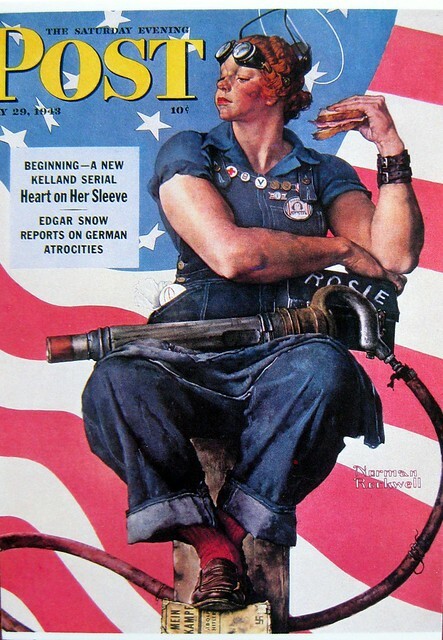 This is a famous Norman Rockwell depiction of the WWII figure, Rosie the Riveter.